All media/contents in the Project Library and/or Bins within disappears. Newly imported media can’t be found. 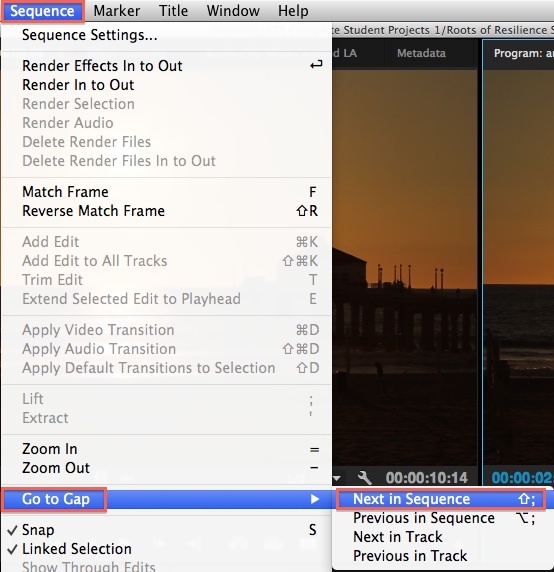 Audio is silent on playback in sequence/audio is playing back the same section repetitively. Audio with two sources is coming in as one flat stereo pair instead of discrete tracks (configure Premiere to treat audio the way Final Cut Pro 7 did). Audio goes out of sync when moving clips or making edits. 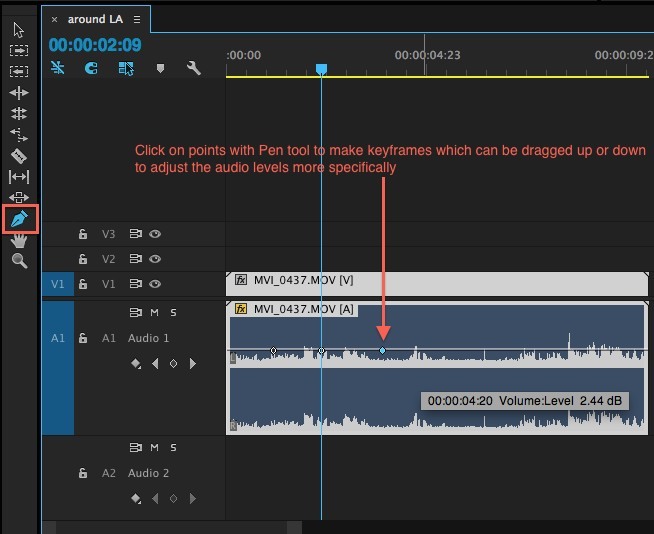 How to adjust audio levels on a clip. 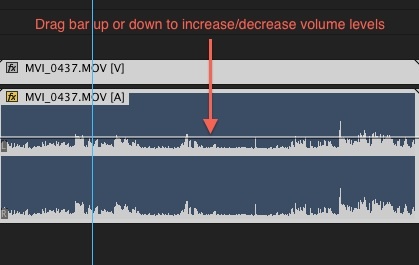 How to keyframe audio (only increase the volume in certain areas) on clips. A window has disappeared (Project/timeline/effects/etc). Playback/performance issues (frames drop/video lag) OR audio goes out of sync with video playback. How to make new text/titles. 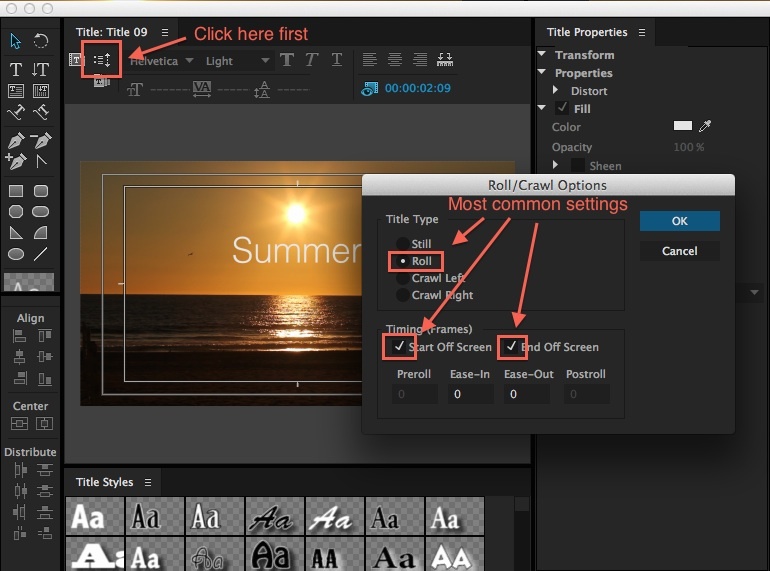 How to make scrolling credits. Unable to locate newly created Title. Video doesn’t fit the frame (Or, how do I resize video to zoom or make smaller?). Fonts are missing or fonts changed to a normal/system standard font. Source or Program monitor windows are black instead of showing video picture. Upon playback or export black frame(s) appear in certain areas. File appears offline in timeline/sequence. How to export timeline as a standalone file for screening, or upload to web. Project takes a substantially long time to open (more than 2 to 3 minutes). Video in sequence/timeline appears small, blurry, or appears letter-boxed (e.g. black bars on top and bottom). After cleaning the media cache quit Premiere, then reopen Premiere, reload the project, and see if the issue goes away. 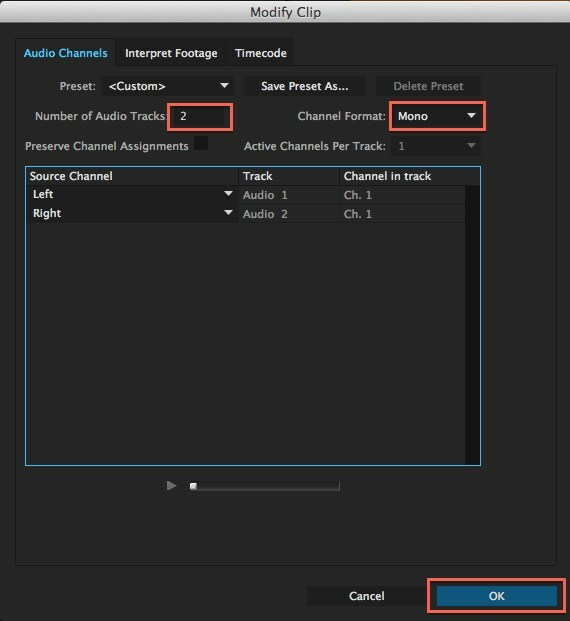 You may get a message about clips already in the timeline not being affected, click OK. From now on when you bring in clips which you have made this change to, each audio source will come in as a discrete track. 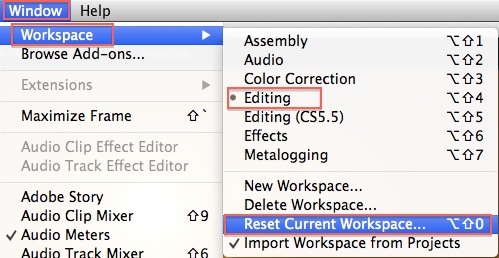 If you already added clips into your timeline, you will need to re-insert them to resolve the issue. Possible Solution #2. A hard drive malfunctioning or running slowly (e.g. USB 2.0) can cause this problem because HD video files are so large. Be sure you have at least a Firewire 800 or USB 3.0 hard drive when editing to avoid this issue. First increase the audio clip height so you can see your waveforms by pressing Option and + on the keyboard. 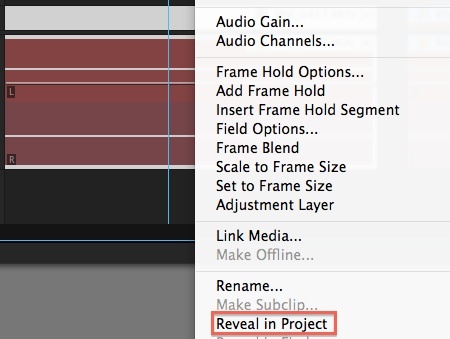 Next, with your Selection tool chosen (arrow icon), hover over the center area of your audio track. The arrow will turn white, and you drag-click the audio up or down to incrase the overall level. For more specific adjustments see the FAQ item directly below. Navigate to File -> New -> Title. Click “OK” on the technical specifications screen that pops up after. 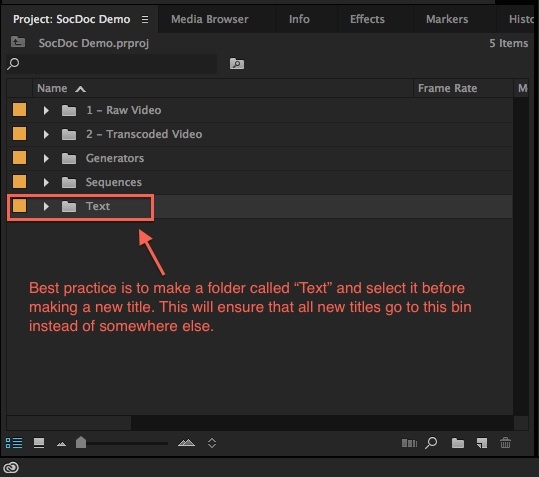 After you add text, the new title will appear as a file in your Bin (more information in FAQ item below). All new titles will make a title file in the project library/bin, double click to open and edit it again, or drag and drop it into the timeline to add it to a sequence. Double-click on the image frame in program monitor, this will show a bounding box of the frame, which allows you to click and drag on the corners to increase or decrease size. Hint: to zoom into the frame easily, click the view mode from “fit” to 25% or lower, which will give you extra space to increase the size of the video. You will either need to pick a more standard font for that text in your film, or install the font on your workstation. 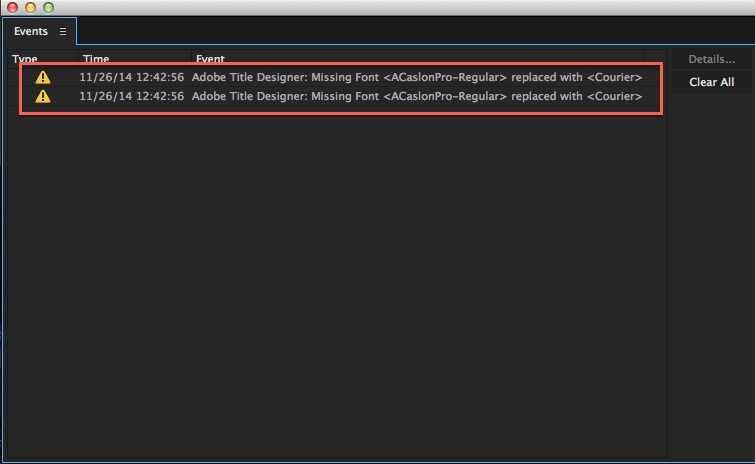 Note, it is possible to install fonts on our edit suite stations, however, they must be reinstalled every time prior to opening your Premiere project to avoid an unwanted font substitution from occurring. 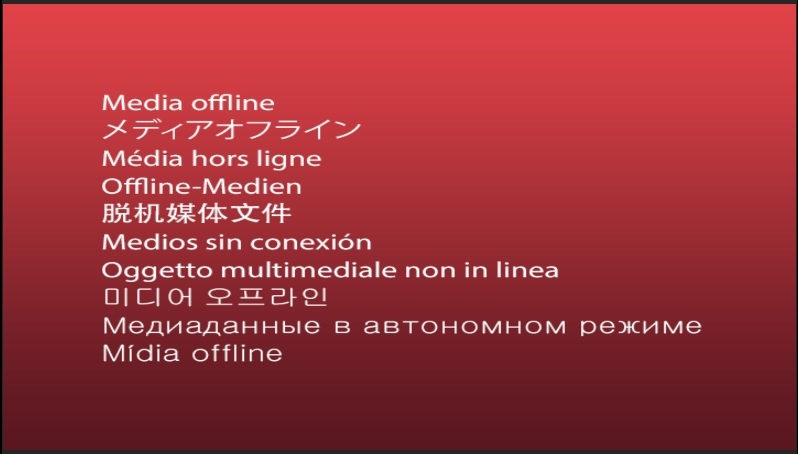 File is marked red in timeline and reads as “Media Offline”. A new window will pop open and you will need to click on the “Locate” button. From there you will need to relocate where the footage exists on your hard drive, select the clip(s), and click OK. If the footage matches, it will fix the issue. Important: NEVER rename .MTS or .MXF camcorder files on your hard drive. This will cause Premiere to knock the files off-line and they will be very difficult to reconnect. 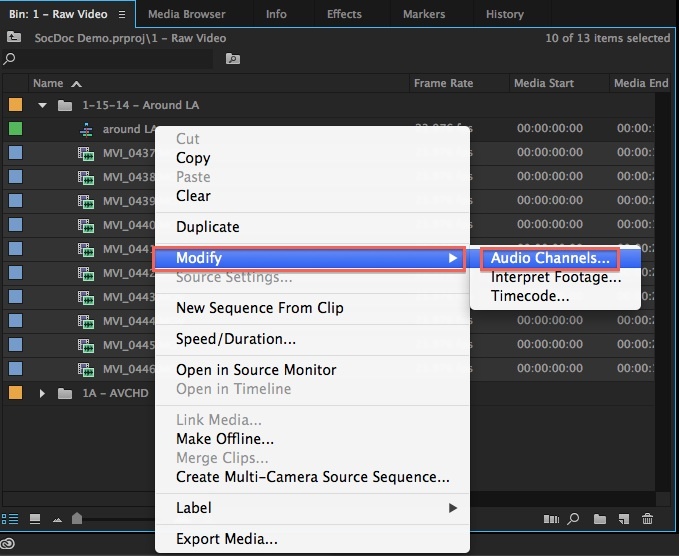 Also if you have had to re-transcode footage to import, the timecode/metadata may mismatch. 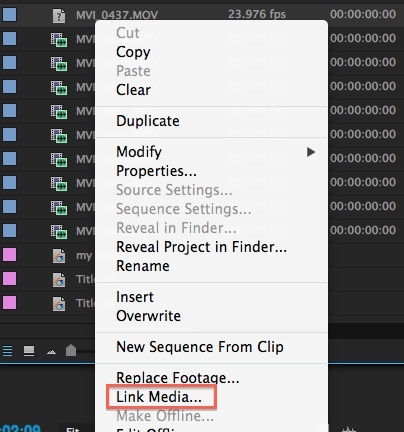 In this situation, when right-clicking on the clip, choose “Replace Footage” instead of Link Media. 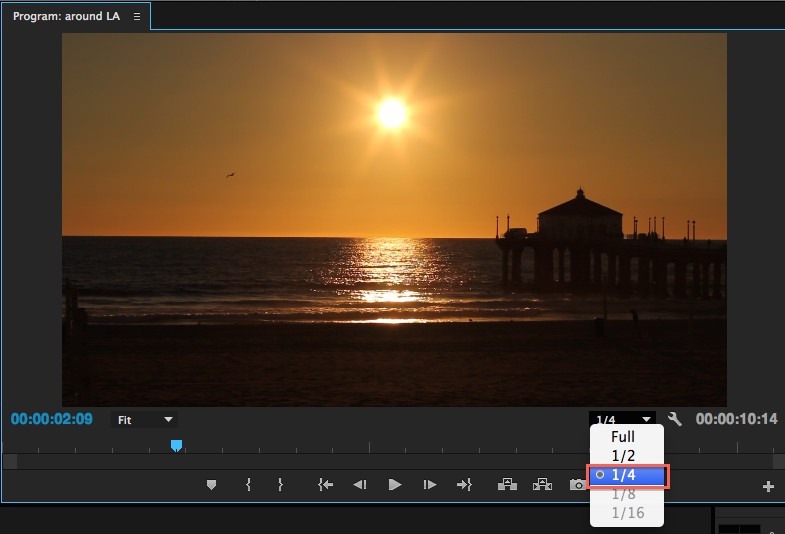 This will help preserve your current edits if the footage doesn’t match frame for frame. 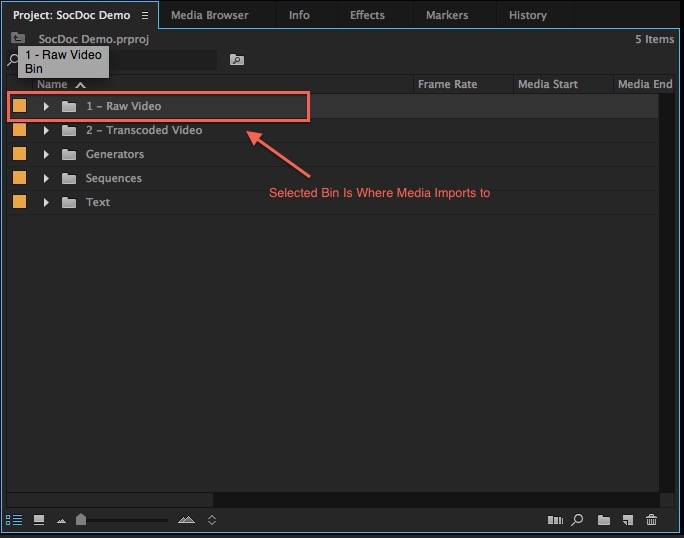 Please see our workflow for exporting using Premiere for screening. 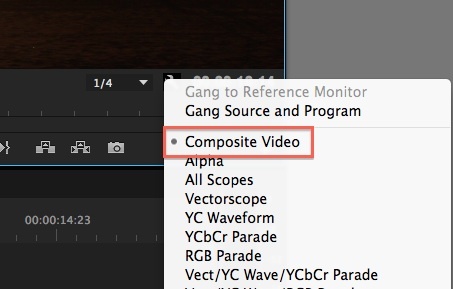 or exporting using Premiere for Youtube/Vimeo. 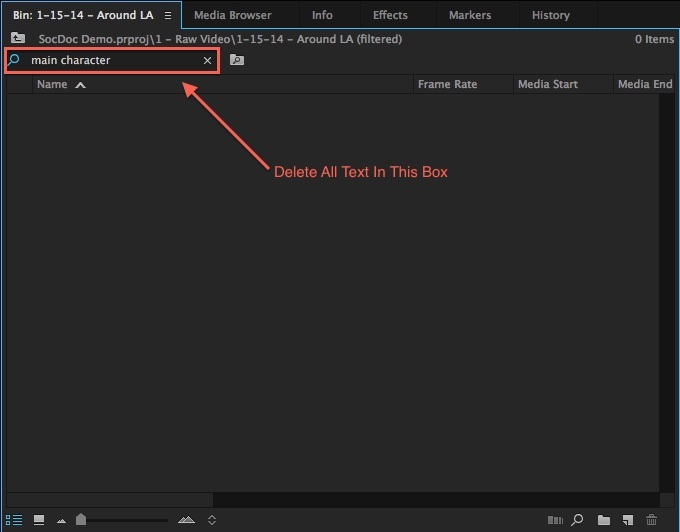 Be sure to follow the steps in our “Configuring Adobe Premiere For Mobility” tutorial. 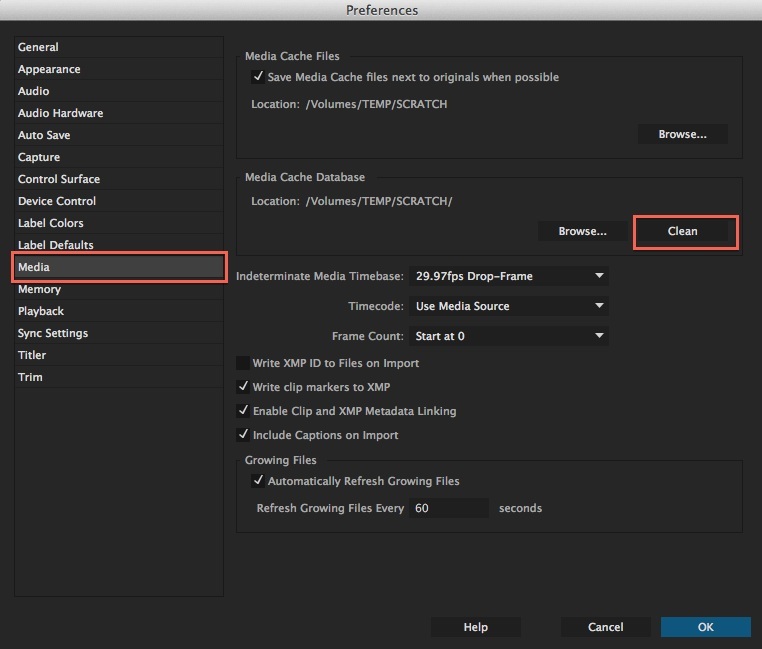 Following this workflow will help avoid this issue which is presented by Premiere always re-generating cache files. Video in sequence/timeline appears small, blurry, or appears letter-boxed (black bars on top and bottom). 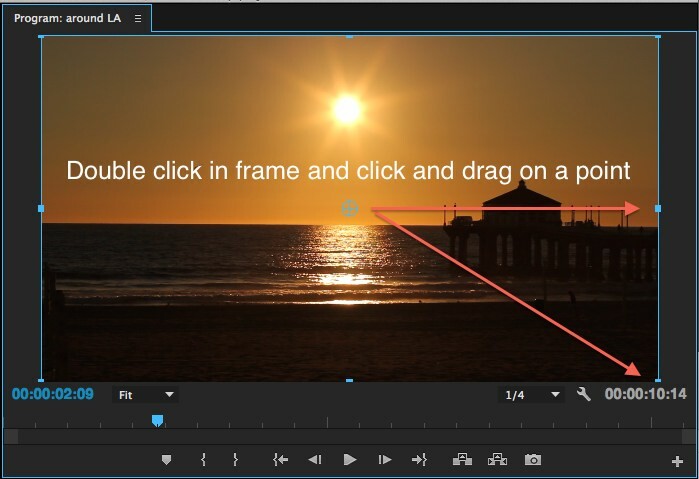 It is most likely that you are editing your HD footage in a non HD or incorrectly formatted sequence. 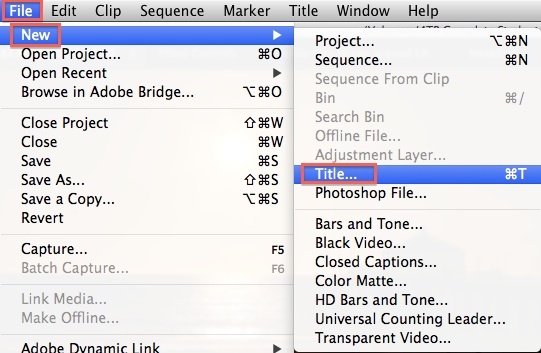 It is always best practice when starting a project to make your sequence by right-clicking on a clip in your bin, and choosing “New Sequence From Clip”. 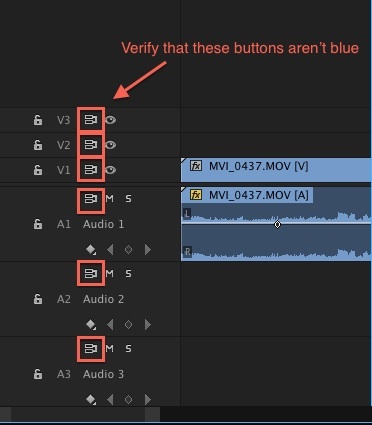 If, however, you have already edited a lot and run into this issue, please schedule an appointment with the department post production/technical support to assist you in correcting the issue without having to start over. It is resolvable, but requires many technical steps.